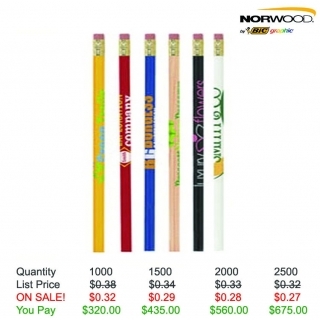 Your campaign message always "draws" interest with the Pricebuster round pencil! Made of basswood, this general purpose pencil has a #2 lead filament enclosed in a wood case, an eraser and large imprint area for your company logo or message. 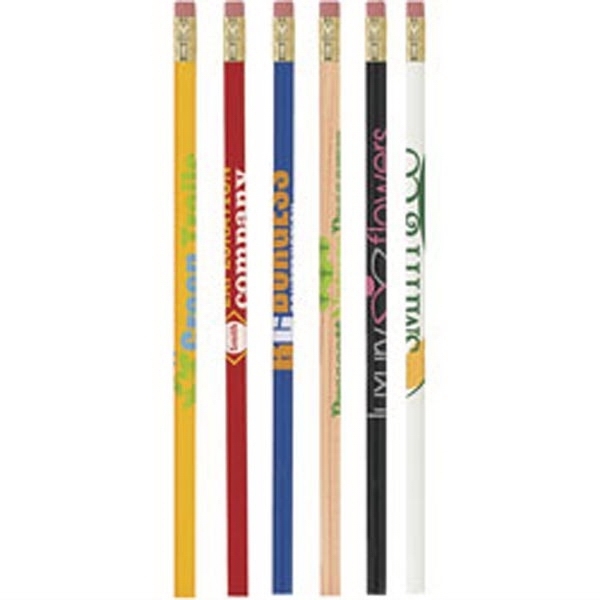 This giveaway is made in the USA and great for promoting your brand at any location or event. Have your unique design silkscreened today! 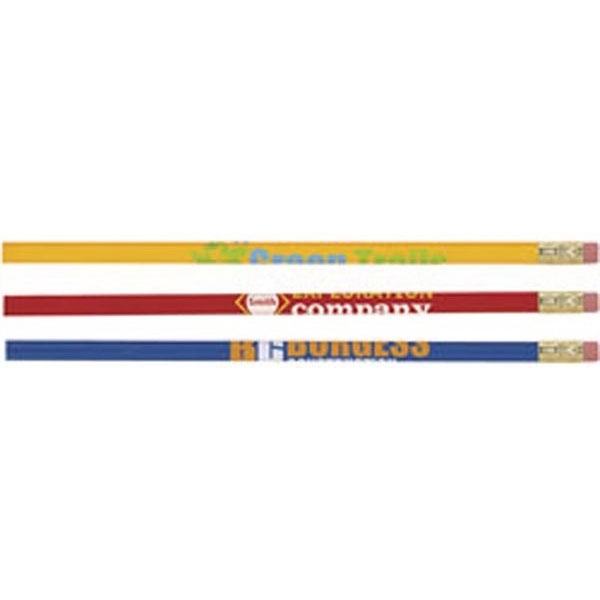 Product Features: Basswood, #2 lead with wood case, an eraser and large imprint area. Imprint Size: 4" X 3/4"
Shipping Weight: 15 lbs. per 1000 - FREE Shipping!